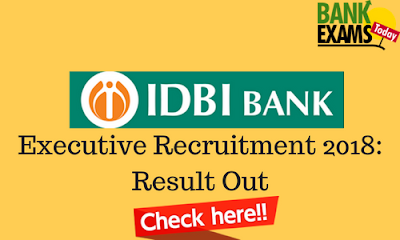 IDBI Bank has released a Merit List, Waiting List & Marks of Online Test for Executive Recruitment 2018. Click Here to Download the Merit List. Click Here to Download the Wait List. Click Here to Download the Category wise & Test wise cut-off.